If you want to get your hands on a large economic source of zinc, what better place to look than in a region blessed with the largest concentration of zinc deposits in the planet? As one of the world’s greatest base metal provinces, this is exactly what the Mt Isa super basin offers. The Mt Isa region is already one that is getting small cap stock speculators all hot and bothered. We aren’t here to tell you about that company — as all the value is already reflected in its current share price. The company we are presenting today holds over 120 km 2 of zinc mineralisation, just 72 km down the road from NCZ. And it’s capped at just $14 million — a fraction of that of old NCZ. This little company has probably the largest zinc system in Australia... and it is drilling into it right now. Having recently raised $6 million, the company is drilling into a bevy of targets that have had around $13 million already spent on them by global mining majors such as Teck, WMC and Anglo. However these projects have never been in the hands of a junior explorer, until now, and consequently never had the care and attention a company like this one can give them. With pundits backing this next zinc cycle to be ‘stronger for longer’, this stock is timing its run with all the experience of a team that has done it all before. This company’s MD, Jeremy Read, is no stranger to building value and exiting at the height of a cycle, he sold Meridian Minerals for a not too shabby $78 million back in 2011, representing a 700% return the early investors. He is seeking to build even greater value on his latest venture if this stock can pull it off. Global zinc stockpiles have dwindled in recent years like a candle in the wind on the back of a global steel-building resurgence. Meanwhile, the level of demand is beginning to peak as prices rise back towards historical range-highs. Much like other metals, including gold, silver or copper, zinc is cyclical in how its demand/supply balance translates into market prices. It appears that PUR is entering zinc exploration at just the right time — 12-18 months from a potential peak in zinc pricing — check out the blue line above. This is a window that PUR wants to capitalise on, and is why PUR made such rapid moves to get itself listed, armed with plenty of exploration cash on hand to ensure the company is ready to reap what it sows. PUR is exploring in the Mt Isa Super Basin, one of the world’s premier base metal provinces, hosting six major zinc-lead sedimentary exhalative ore deposits (SEDEX) which hold the biggest lead and zinc deposits in the world, as well as world class copper deposits and a world class Broken Hill Type (BHT) deposit. PUR’s Bluebush and Paperbark Projects are located within relative close proximity to each other. Importantly, the projects lie close to existing Mineral Resources and good infrastructure links, including the world’s most prolific zinc mine in history: The Century Mine which serves as a processing facility and is within just 72 kilometres to the southwest. The Century mine is a record-breaking mine discovered in the 1990s, but is now closed due to poor production rates. PUR hopes to re-tap this region given the huge amount of metal mineralisation known to be present there. Could PUR go on an NCZ style run? In terms of peer-emulation, PUR can look to a couple of neighbouring companies to gauge its ambitions. NCZ is currently trading at a 26 x multiple to PUR... so which company has more room to grow from here? 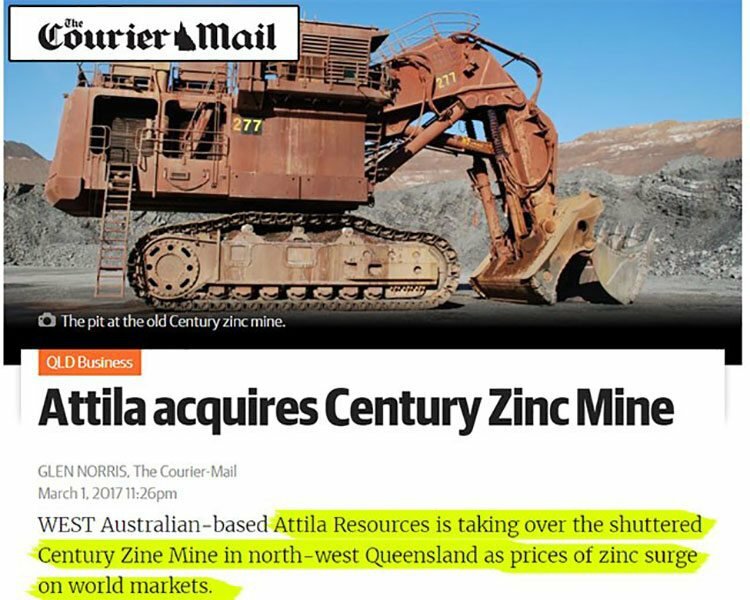 Back in March, New Century (then named Attila Resources), bought the adjourned Century mine, but already has one eye on restarting production given the sharp improvements in zinc prices. But then again, NCZ’s meteoric rise could have something to do with NCZ Director Tolga Kumova working his creative muscle at the recent Diggers & Dealers expo? 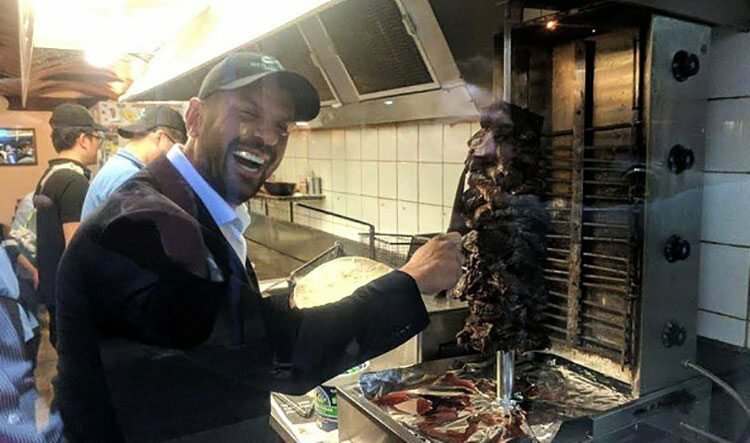 According to the AFR , Kumova took all the plaudits with a perfectly-timed sponsorship offer to a local kebab shop, thereby ensuring all the Diggers & Dealers attendees were suitably fed (not to mention plugging NCZ’s zinc ambitions) in the process. With PUR (as well as other zinc-market hopefuls) going out into the field in search of bulky zinc resources, it’s worth taking a closer look at the zinc market from a macro perspective. Can PUR be confident it can unload what it scoops up in Queensland, onto world markets? And if so, can Bluebush and Paperbark reach economic viability? PUR’s Bluebush Zinc Project is the largest sediment hosted deposit in the Mt Isa Province with >120km 2 of greater than 1% zinc. 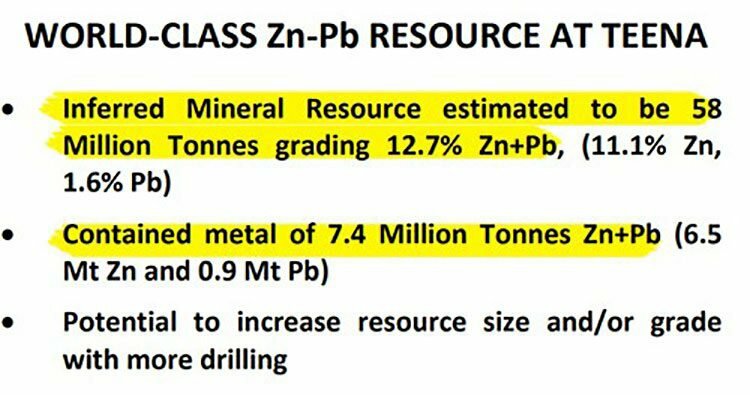 PUR has identified four drill targets for ~2000m with the potential to deliver a world-class zinc-lead deposit. There is also abundant space to locate a further high grade deposit of McArthur River or Century Mine grade and size, which would be a significant find. Drilling is currently in progress, but Bluebush isn’t the only project this company is working on. 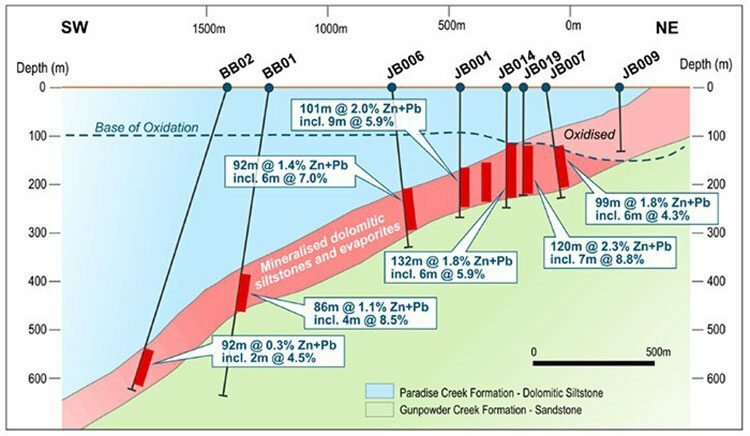 The Paperbark Project is also currently being drilled, with the JB prospect showing a JORC Inferred Mineral Resource of 10MT at 3% lead + zinc. In essence, over the coming years, PUR is aiming to develop its flagship project into a production-ready world-class Resource, in a region famed for high-grade bulky Resources. Having acquired three key prospects earlier this year, and raising over $6 million as part of a speedy capital raising in June, PUR is purring into action by jumping straight into explorative drilling and dissecting early assay results. What really caught our attention with PUR is the simultaneous alignment of factors that could mean Pursuit may be a hard one to chase once it gets going. Here’s Managing Director Jeremy Read explaining PUR’s advantages and aims over the coming months and years. Just across the border in the Northern Territory, Rox Resources (ASX:RXL) has recently defined a zinc Mineral Resource grading 12.7% zinc + lead with an estimated 7.4Mt of contained metal at the Teena deposit at its Reward Project. This nearby Resource is significant, not only because it indicates PUR could soon define a Resource of its own, but also because of the JV partner assisting Rox Resources is the same company from which PUR acquired its tenements. That JV partner is Teck Australia Pty Ltd — the Australian subsidiary of Canada’s largest diversified resources company, NYSE-listed Teck Resources Ltd.
Teck Australia, together with Rox is advancing the Reward Project in NT. Given its geological similarities to Bluebush, PUR has a decent shot at emulating this type of project progress. Interestingly, Teck Australia own 20% of PUR right now, so may well be keeping a close eye on PUR’s progress over the coming weeks and months. Also in Queensland, and within a stone’s throw from the Century mine, is PUR’s Paperbark Project — a neat supplement to Bluebush. 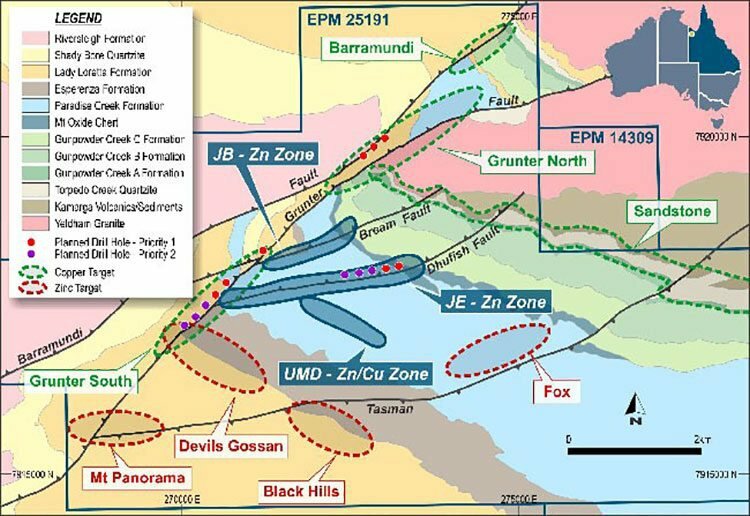 Paperbark includes an established JORC Inferred Mineral Resource of 10Mt at 3% lead + zinc at its JB Prospect. Paperbark presents PUR with some decent copper targets as well, which may also add to PUR’s resource arsenal depending on drilling results over the coming months. 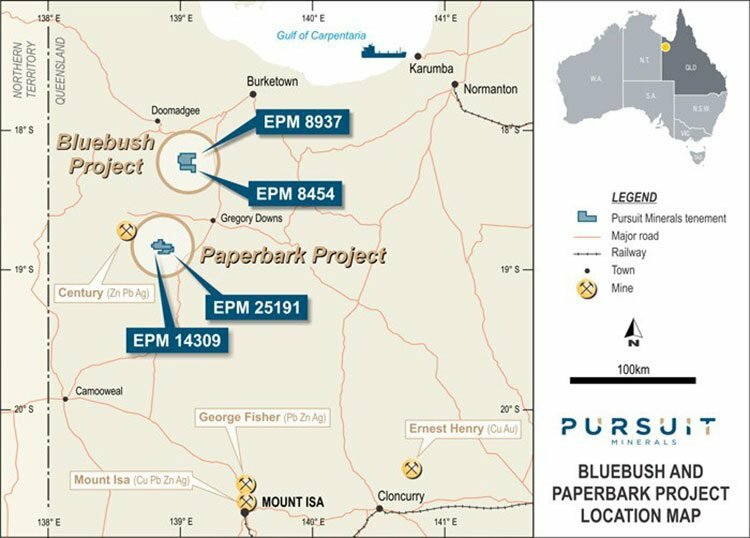 Despite the ‘early-doors’ status of Paperbark, PUR already has some rather amenable recovery stats to back up its Resource-building activities. As it stands, PUR is able to achieve a 94.8% recovery rate from the ore it has available at Paperbark, thereby creating the possibility that PUR can raise its overall recovery rate from 3% zinc to 15% zinc through heavy media-separation techniques. Also, and very importantly, Paperbark is proven to have a low quantity of deleterious elements (stuff that reduces the amount of recoverable zinc) and will have a simple flow sheet that may even include open-pit mining once confirmed by further technical studies. The zinc market is currently being squeezed on both sides of the demand and supply argument. For starters, zinc supplies continue dwindling due to several large mines closing, while new supplies are slow to bring online and commercialise. Ireland probably bears this out most. Traditionally the epicentre of metals mining, Irish miners and processors have been retreating from the zinc market due to waning prices and a huge backlog of inventories. However, this backlog is now slowly being depleted, as there have been no new significant zinc deposits discovered since the 1990s. Back then, the newly-developed Century mine was producing around 5% of the world’s total supply, and as we’ve already mentioned, the Century mine is located very close to PUR’s Projects. Supply is tightening with Irish producers dropping like flies, and inventories waning. This leaves only the demand-side. Zinc demand has remained stable despite the cyclical nature of zinc prices. Low-cost producers are best able to weather the cyclical market changes, and we think PUR is moving exactly in this direction. Steel-building is growing again which is important because zinc remains a key industrial metal used to galvanise steel and has many industrial applications that are closely related to manufacturing. The market for zinc (just like many others) is all about timing. As it stands, PUR is uniquely placed for a shot at the zinc market. Having obtained ample funding and plucking three high-potential projects from underneath the noses of a major, PUR is now purring into action. PUR represents a prudent way of backing the zinc resurgence currently underway. 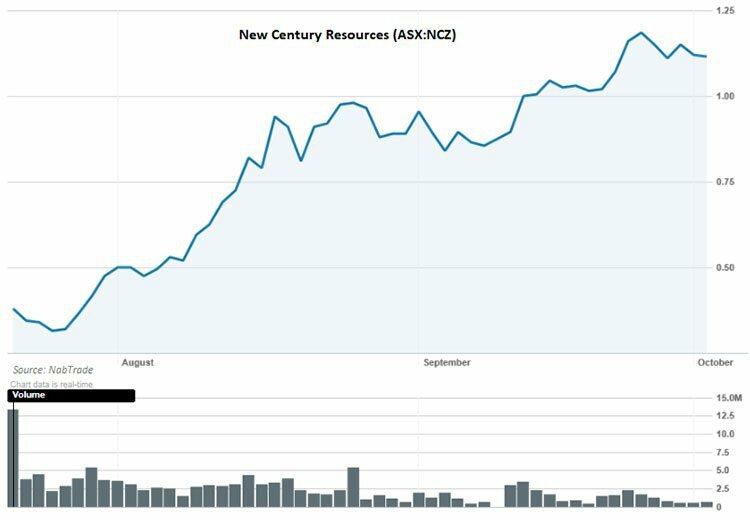 The company has selected the largest area of zinc mineralisation in Australia in which to acquire its basket of projects and is already drilling to hasten exploration efforts and assay results. This not only means that PUR is likely to have a steady news-flow over the coming months, but may also bring forth some mouth-watering share price catalysts for early investors. Don your catalyst-catching-gloves, and stand ready to act, dear Next Mining Boom readers.